R is for Rodial. At least for today it is. 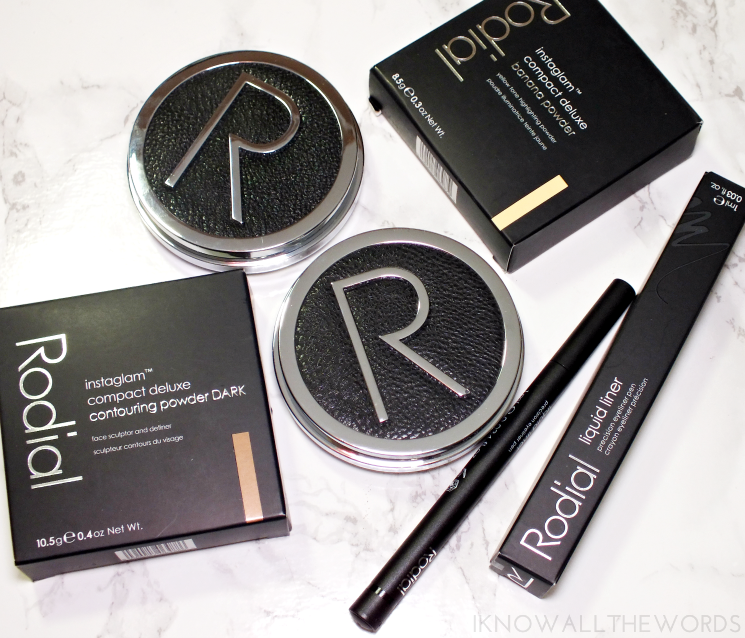 I've tried a fair bit of Rodial skincare, but the three products we're going to chat up are my first foray into their recently expanded makeup range. 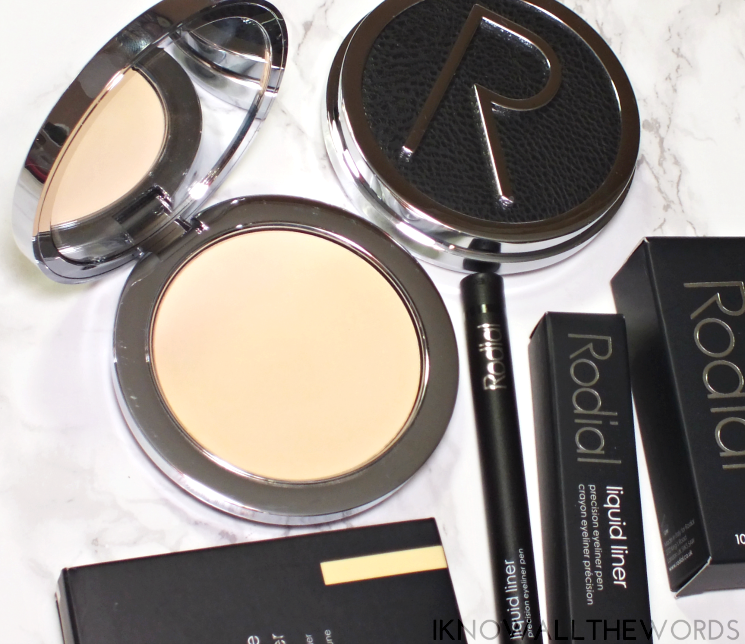 Can Rodial do makeup as well as they do skincare? You'll have to read on to find out... Spoiler: they can. 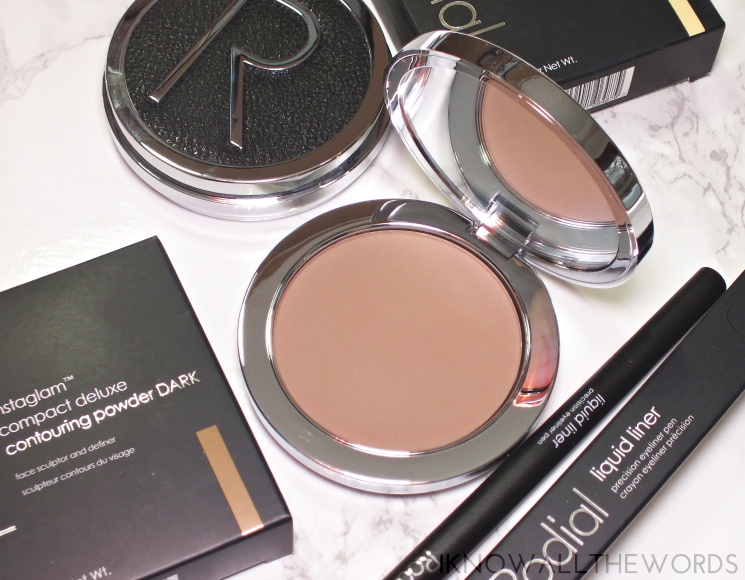 As my spolier above indicated, Rodial does makeup very well. For starters, their packaging is simple, modern, and gorgeous. The compacts are very weighty, with sleek black and silver emblazoned with a signature Rodial R. They open and easily, but close securely with a hidden magnet. The only downside to the compact packaging, is that everything looks the same. Shoudl you have a range of products, you're stuck opening everything or flipping them over to read the labels. Not something one wants to do in a hurry, but not a major deal breaker. Inside the compact... That's what you're most interested in. Firstly, a bit of banana powder with the Instaglam Compact Deluxe Banana Powder. The yellow tinted powder works as a matte highlight to brighten skin and contour act the appearance of redness. You can use banana powder as an allover setting product, to highlight (as mentioned), or my personal favourite way, to set concealer. The yellow tone gives that extra bit of concealing (goodbye blue/purple!) and makes eye look that bit more awake. I quite like that Rodial's version isn't as yellow as others I've tried (I'm looking at you Ben Nye) meaning you don't have to worry about using too much (and looking yellow) if you have a lighter skin tone. More importantly, the powder is light, silky, and cake-free so it leaves skin looking natural all day. The might contour. I say this all the time, but contouring isn't a part of my daily makeup routine. It might happen 2 maybe 3 times a week for me, so I don't tend to seek out contour products. With that said, I was initially terrified of the Instaglam Compact Deluxe Contouring Powder DARK. Yeah, that is never going to work on my neutral-light skin... Right? Wrong. 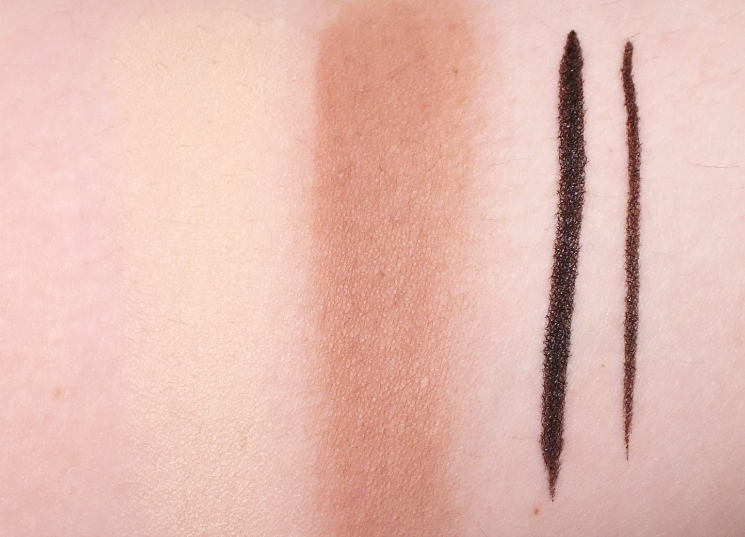 While this is deeper and more red toned than the standard contour offered by Rodial, it's not that dark or warm. The soft, silky powder offers nice pigmentation, but it's super buildable and customizable. If you've got medium-deep skin, load up a brush and go to town. Lighter like me? A gentle touch is needed, but this blends out with ease and gives a natural contour. It also makes a great eye contour in a pinch. Last up on out Rodial tour, the Liquid Liner Precision Eyeliner. This water-resistant, long-wearing liquid liner pen is kind of a must have. Really. Pen style eyeliners are fickle as they don't always last very well, or you end up with a dry tip after a measly amount of uses. Not this one. I've given this a workout and it is still holding strong with a smooth flow and deep black finish. 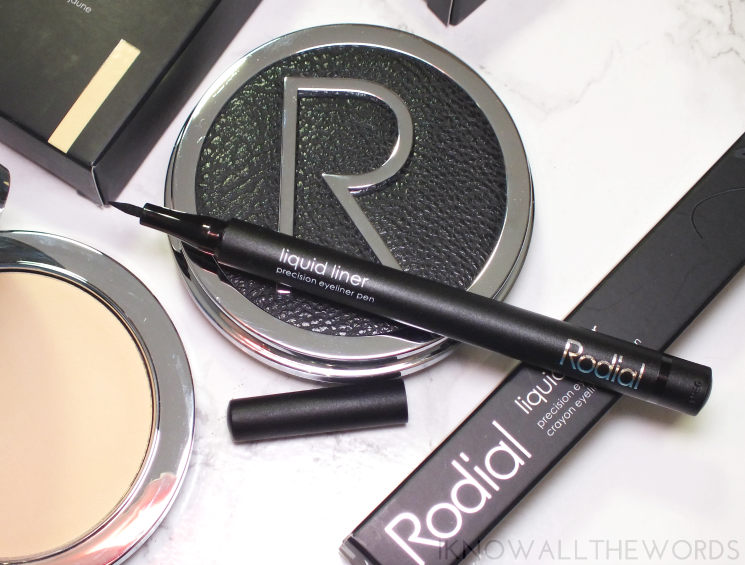 Overall, I am quite impressed with Rodial's makeup. The range has expanded quite a bit since it first launched, so there is something for just about everyone. What do you think? have your tried any of these products? 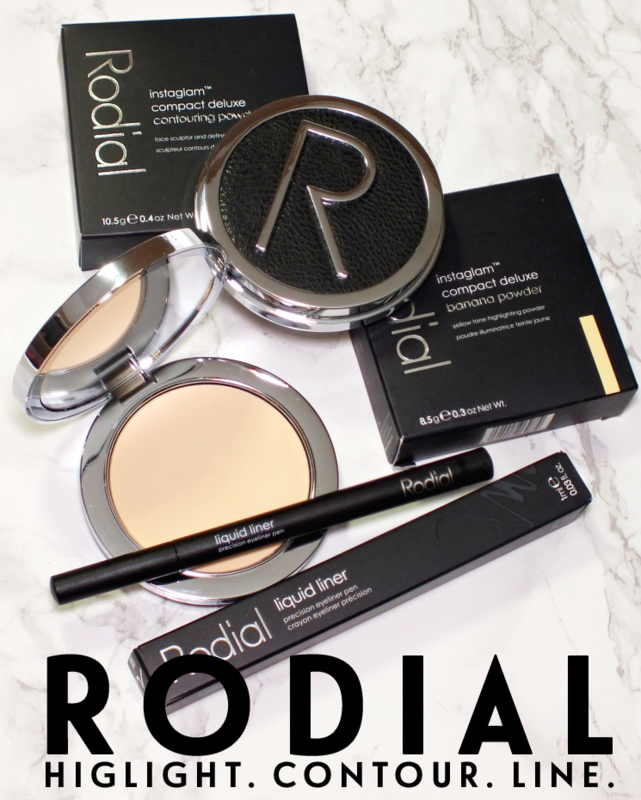 Have a Rodial favourite- do tell!